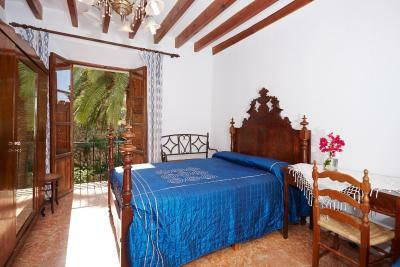 Lock in a great price for Hostal Miramar – rated 8.4 by recent guests! 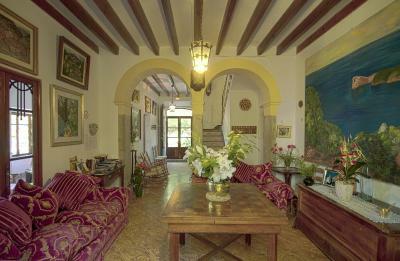 This is our second time staying at Hostal Miramar. We felt just as welcome, well slept and well fed as we did the first time. I can't fault anything about our stay and am almost reluctant to tell leave a review because I want to keep it a secret! Loved the place. The owner/manager is super nice. Very quiet and not a party place. Excellent breakfast. Felt like being in somebody's home. Super view. It was a very short stay since we booked last minute to spend one night on the island and then catch a very early morning flight. The room (number 16) was small and cozy but with lovely lovely views to the village and mountains. It had a sink and a wardrobe. There was no air conditioning but up in the mountains it is rarely needed, and that one night was breezy and perfect. A good fan was provided, nonetheless, which I think it would be more than sufficient for warmer nights. Unfortunately, no opportunity to enjoy the breakfast, although I think it would have been super nice to seat in their terrace in the early morning and take in the views. Owner very nice. Place super clean. Antonia, the landlady, is such a great and lovely hostess. We don’t speak Spanish, she doesn’t know English, but somehow, we understood each other. 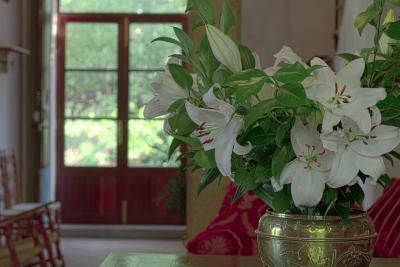 The setting is just beautiful – charming old house, very clean, quiet, and peaceful. Stunning view from the room window and from the patio. Antique furniture in the room. 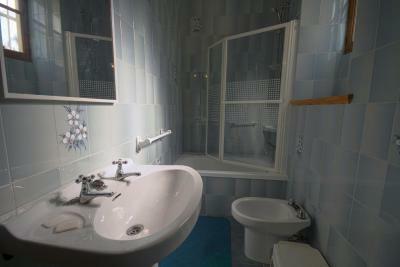 Spacious bathroom, toiletries provided. Wifi signal strong. 10 min downhill to the center, 5 min to the local grocery store, 45 minutes on foot to the beach. Parking onsite. Breakfast is generous and delicious - assorted meat and cheeses, eggs, bread, orange juice and jam from the own fruits, strong tasty coffee. The location was breathtaking (literally, as it is located on the hill, and it was beautiful as well). The view from my room- absolutely wonderful. 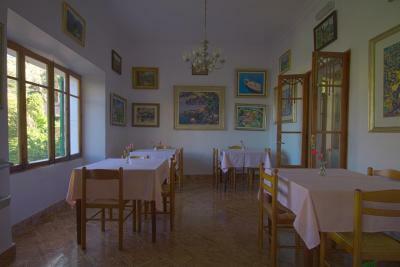 The hostel is made in classic style with fresh flowers in lobby and attention to detail. Cosy place, great to wonder around. The owner was very thoughtful and keen to provide recommendations about local restaurants. Friendly welcome, super hostess Antonia,beautiful views from the terrace, great breakfast - we come back!! At the top of a very steep hill. No drinks facilities in the room. Extremely noisy doors banging through the night and people heard talking. Priced as much as a hotel with facilities and no noise or hill. Basic breakfast was fine and host pleasant. 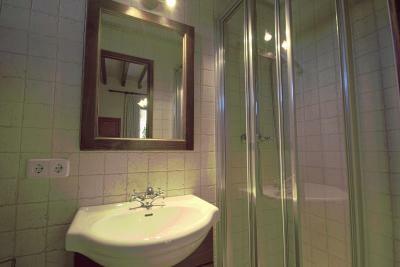 Very clean modern (separate) bathroom with great shower. Good breakfast with fresh orange juice. The property is up a hill but has amazing views. There is a nice terrace to sit outside. Orange juice made with home grown fruit was lovely, as was the home made apricot jam! 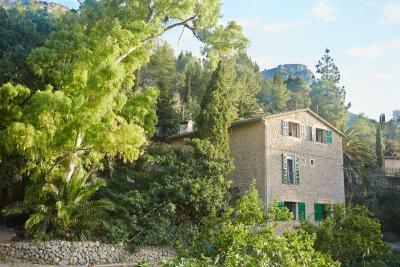 This 19th-century restored house is located in Deià, featuring spectacular panoramic views of the Balearic Sea. 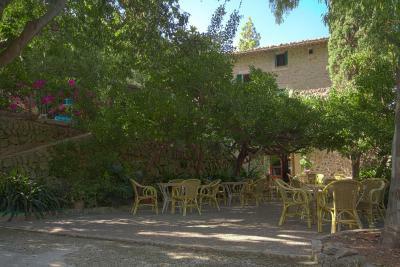 Hostal Miramar has free Wi-Fi, a terrace and a beautiful garden surrounded by fruit trees. 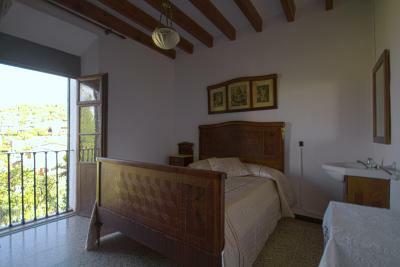 Rooms at Miramar have characteristic décor, featuring rustic furniture and exposed beams. 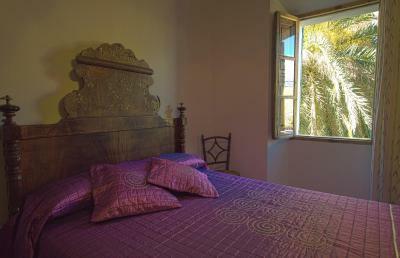 Some rooms have a private bathroom and views of Deià Cove, while all of them have a desk and a wardrobe. Featuring classic furniture, the Miramar has a common lounge with a TV and paintings from local artists. 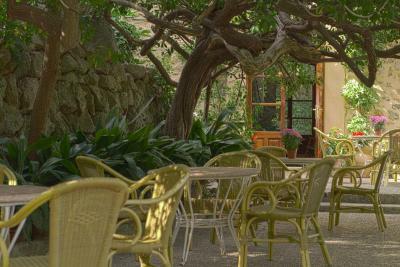 There is also a dining room that offers traditional cuisine, and guests can have breakfast, lunch and dinner on the terrace. The accommodations can be reached taking the Ma-10 main road. 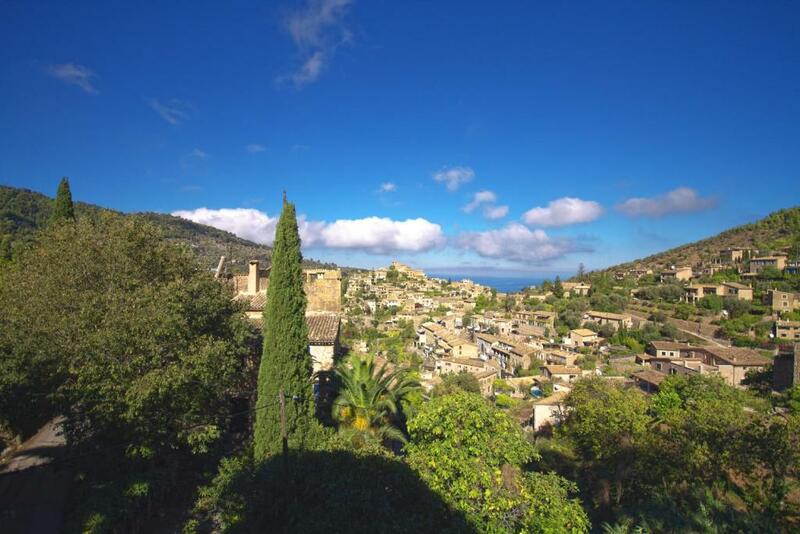 Palma de Mallorca Airport is 23 mi away, while the center of Palma is 35 minutes’ drive. This guest house has free parking. 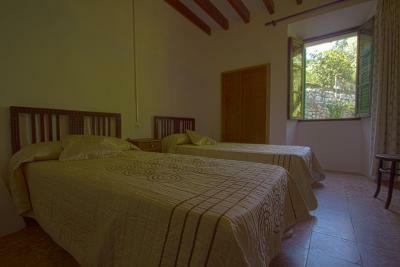 When would you like to stay at Hostal Miramar? This room features rustic furniture and exposed beams. 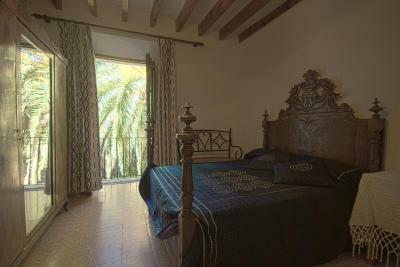 It has a desk, a wardrobe and a private bathroom with shower.This room has views of the gardens. 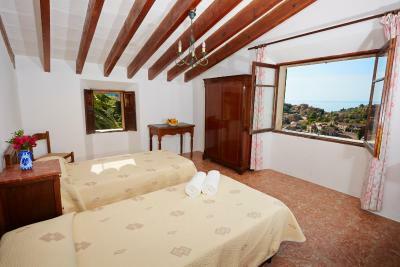 This room has rustic furniture and exposed beams, featuring views of the town of Deià. A desk, a wardrobe, and a sink are included. There is a shared bathroom with bath and shower outside the room. Some rooms feature a view of the sea or the mountains. House Rules Hostal Miramar takes special requests – add in the next step! Hostal Miramar accepts these cards and reserves the right to temporarily hold an amount prior to arrival. It is not directed to the Hostel Miramar, but Booking.com- as a solo traveller, I have arrived and the staff was expecting two people. I had no chance to communicate that I am on my own what could affect the final price for the room. After all o was served 2 breakfasts at once, what was in my opinion a total waste. Breakfast started at 9am which was a bit late for us. The room was fairly austere with cold floors! The room size is small. Quiet and fit our needs for a 1 night stay. Fantastic breakfast.. Very quiet. 15 minutes walk up the hill from Deja's center though. Great view fro our room across Deja to the sea. Very welcoming host. The owner only speaks spanish. The walls are very thin and it's quite loud at night. Our room was quite cold at night. The window in our room couldn't be closed anymore (there was always an open crack and mosquitos came in). 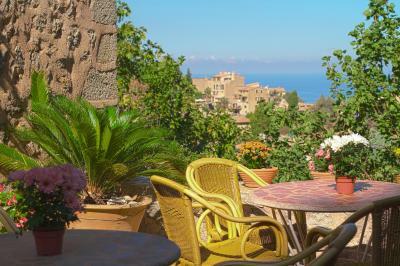 The hostal is nicely located witha a beautiful view over Deia. It's an old building and there's mold. The type of mold that smells sweet. The smell sticks to your clothes and if you're allergic to it like I am there's a good change that the mold affects your sleep. I did not get a good sleep. unfortunately. Fantastic views if you get the sea view room. Place is really nice with it's garden and the owner is really nice. Nothing here not to like. 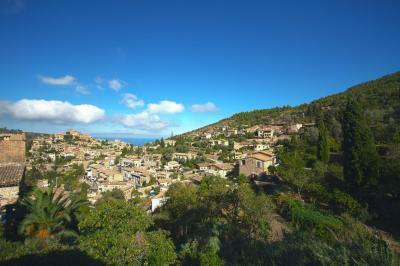 The amazing view of Deia and its surroundings from the terrace. The wonderful breakfast of cooked meats and local cheese, soft bread and jams with freshly squeezed orange juice every morning. We stayed for a week and some mornings we also had boiled eggs or a sllice of tortilla and yogurt and fruit. The owner is lovely and a delightful lady came in and cleaned the room every morning whilst we were sitting on the terrace planning our days activity. Simply perfect. Parking available which is unusual for Deia. the rooms are smaller than one could expect.